The Pasadena purchase by Petrobras came under scrutiny in 2014 from Brazilian prosecutors looking into the mega corruption Lava Jato scandal. RIO DE JANEIRO, BRAZIL – Petrobras America Inc. (PAI), a Petrobras subsidiary, signed a purchase and sale agreement on Wednesday with Chevron USA Inc. for the sale of the shares it held of the Pasadena Refining System (PRSI), located in Pasadena, Texas. 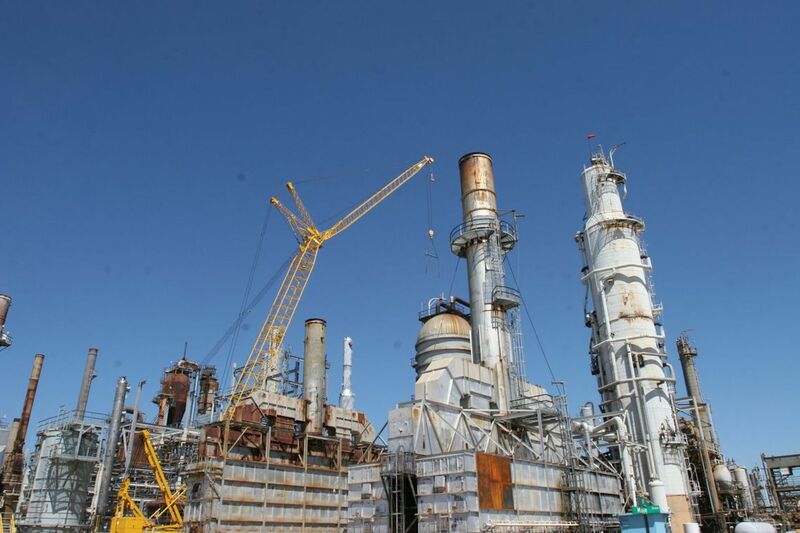 Pasadena Refinery in Texas sold by Petrobras to Chevron, photo by Agencia Petrobras. “The transaction value comprises US$ 562 million, of which US$ 350 million corresponds to equity and US$ 212 million corresponds to working capital as of October 2018. The final transaction value is subject to working capital variation up to the closing date,” said the note issued by Petrobras. According to Petrobras, PRSI has a processing capacity of 110,000 barrels per day (bpd). “It is an independent refinery of the Petrobras System that can operate with medium and light petroleum streams and produces derivatives that are typically marketed in the American domestic market,” said the statement. The sale of the refinery is part of Petrobras‘ divestment program and needs to be submitted to regulatory bodies. Its purchase came under scrutiny from Brazilian prosecutors looking into the mega corruption scandal dubbed Lava Jato (Car Wash). In 2006 Petrobras paid US$360 million for fifty percent of the refinery, a much higher value than Astra Oil had paid for the complex a year before (US$42.5 million). In July of 2014, the TCU (Federal Courts of Accounts) ordered the return of US$792.3 million to Petrobras accounts due to the loss of corporate wealth the company incurred due to the purchase. In 2014, former Petrobras director and one of the first executives to be involved in the Lava Jato corruption scandal, Paulo Roberto Costa, told investigators that he received US$1.5 million from a lobbyist to aid in the purchase of the Pasadena refinery. Former chief of the international division at Petrobras, Nestor Cerveró was named to be the one of the main beneficiaries of the bribing scheme surrounding the purchase of the Pasadena refinery. He was arrested in January of 2015. The deal is reported to have generated losses of US$792 million for Petrobras.